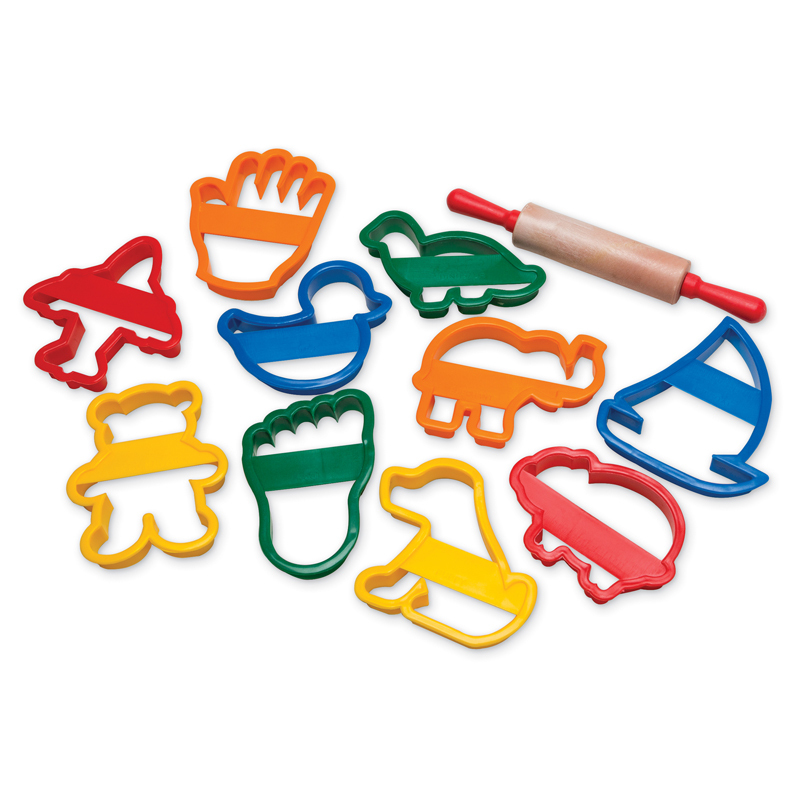 Smoother, finer, and more moldable than traditional clay, Crayola Air Dry Clay softens with just a few drops of water. Simply add water to the clay, let the excess evaporate, and begin molding to create an original sculpture. With Air Dry Clay, kids can create a huge range of different products using all the traditional sculpting techniques, such as pinching, coiling, score-and-weld, and slabbing. It is also well-suited for creating impressions, textures, and stamps. 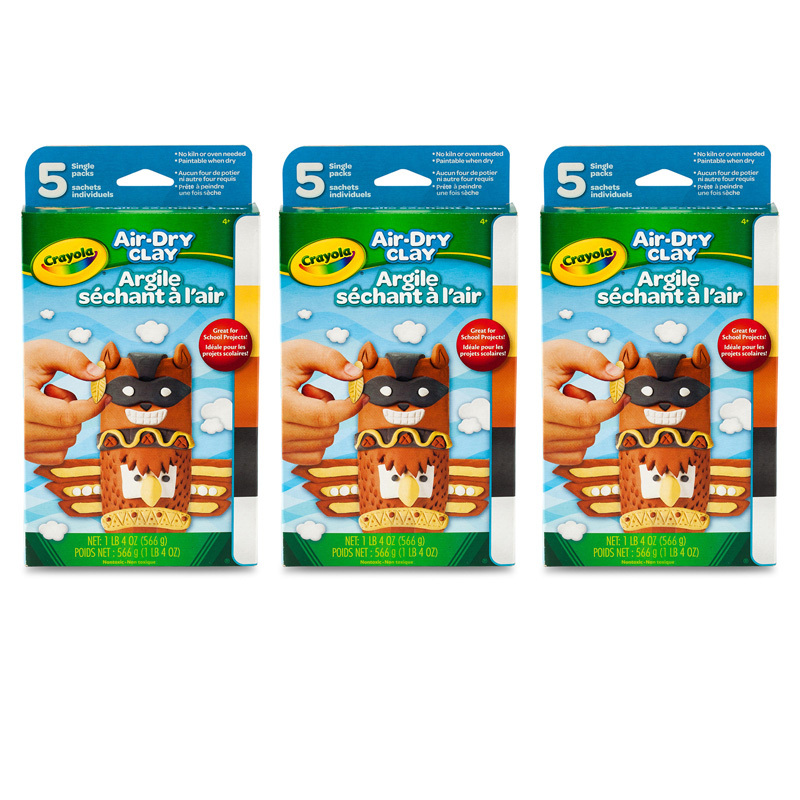 Crayola Air Dry Clay works well with other Crayola products, including tempura paints, acrylic paints, and watercolors. Kids can paint over entire slabs or add simple accents to create a colorful final piece of art. The clay sticks to glitter, spangles, and other embellishments, so kids can bedazzle their sculptures however they want. Each pack includes 5 singles of Air Dry Clay Neutral Colors in white, white, charcoal, terra cotta, sunglow (1.25 lbs. total). Sold as 3 packs for a total of 15 singles of clay (3.75 lbs total). 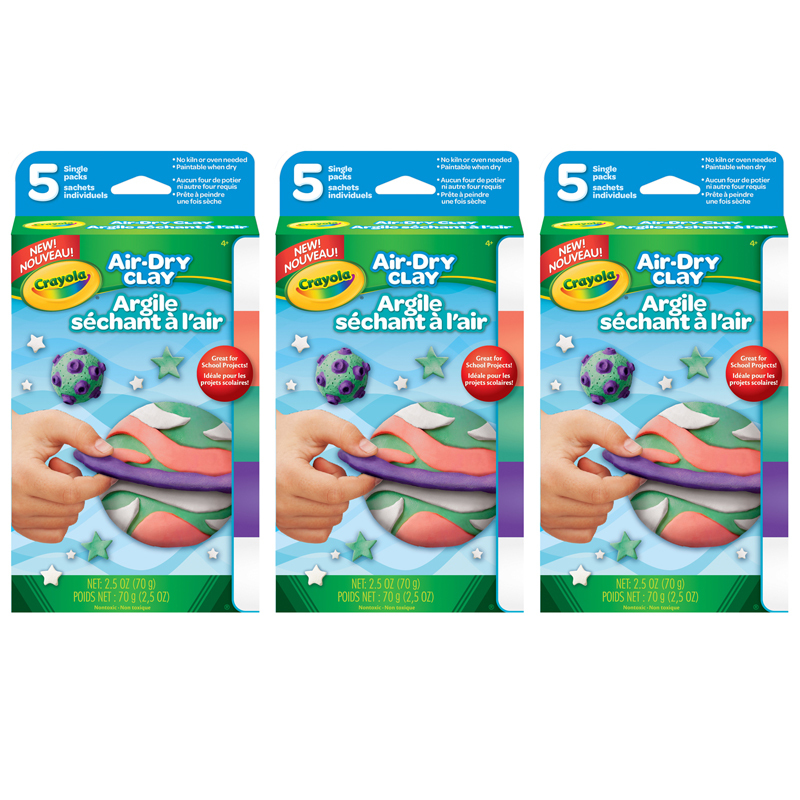 The (3 Pk) Air Dry Clay Neutral Variety5 Per Pk can be found in our Clay & Clay Tools product category within the Arts & Crafts.